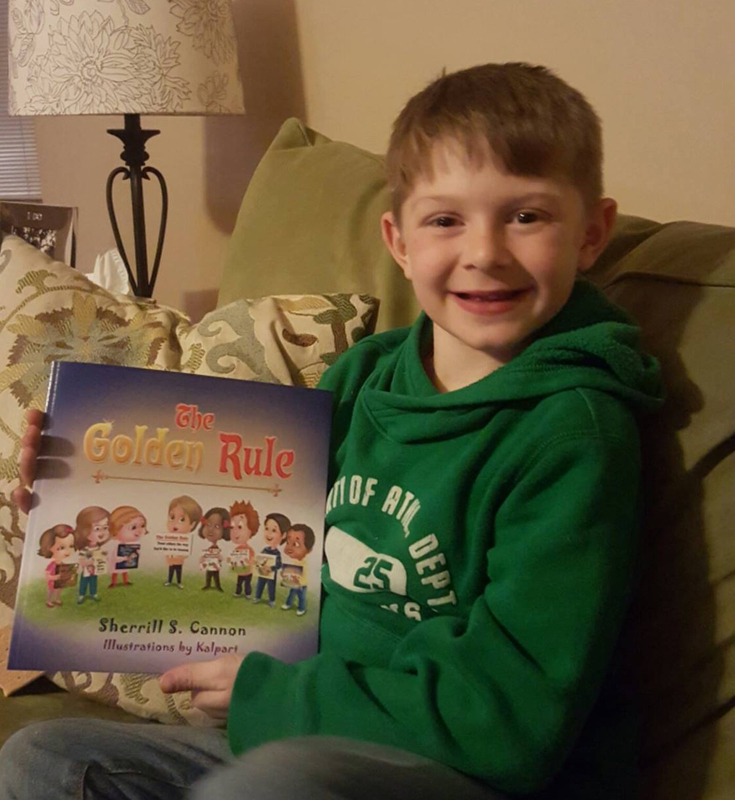 Reminder – Last Day for Goodreads Giveaway for The Golden Rule! This entry was posted in Behavior, Bullying, Children's Picturebook, Consideration for Others, Golden Rule, Manners, Picture Book, sherrill s. Cannon, Uncategorized on March 31, 2016 by Sherrill S. Cannon. 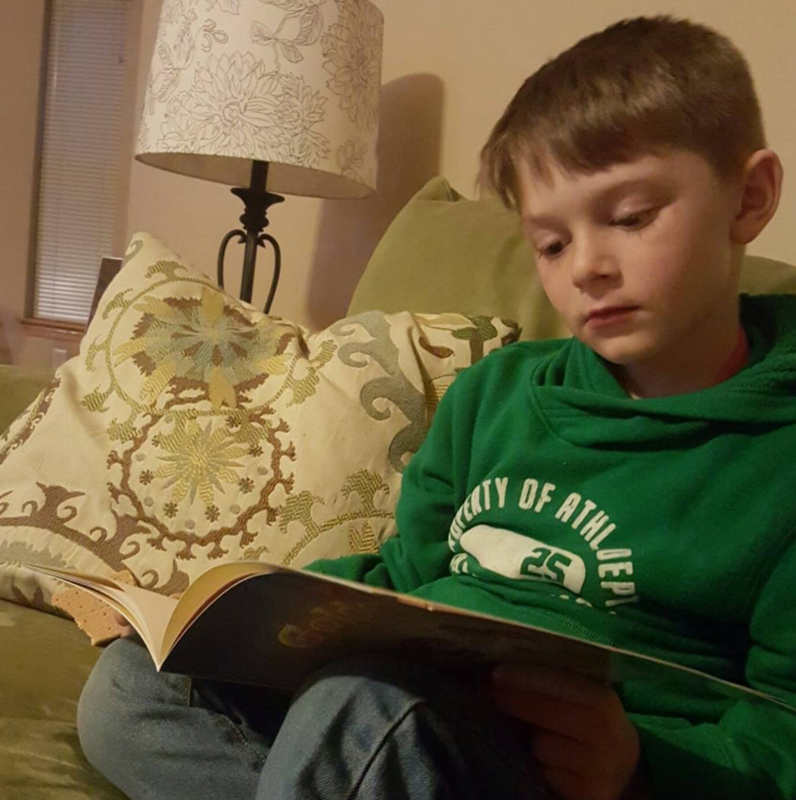 Please Meet My Kid Reviewer, Tristan! Tristan remembers to be nice! Thank you, Tristan, for your great review and photos! I’m so happy you understand the message of The Golden Rule! Please also remember that you can purchase through the CureJM Fundraiser: http://sbpra.com/CureJM where 50% of the cost of the books goes to the CureJM Foundation to help find a cure for Juvenile Myositis, an incurable (so far…) children’s disease. Please help find a cure!! This entry was posted in Behavior, Bullying, Children's Picturebook, Consideration for Others, CureJM, Fundraising, Golden Rule, Kid Fans, Manners, Picture Book, Review, Reviews, sherrill s. Cannon, Uncategorized on March 28, 2016 by Sherrill S. Cannon. 100 Stars for a 100 Star Review! This is an awesome review and means a lot to me – not just because it’s an extremely positive review, but because it captures so perfectly the intent of the book! I always try to teach something with my books, disguised as fun stories of course, but this one is more specific…The Golden Rule is all about being kind to one another, with examples of how to do so. My heart is smiling! The Golden Rule IS the Golden Ticket!! This entry was posted in Behavior, Bullying, Children's Picturebook, Consideration for Others, eBook, Golden Rule, Kid Fans, Manners, Picture Book, Review, Reviews, sherrill s. Cannon, Uncategorized on March 23, 2016 by Sherrill S. Cannon. This is an excerpt from the “The View”, a newsletter contribution from the Pacific Sage Preschool. Thanks so much for this opportunity…Sharing with children is what it’s all about! This entry was posted in Book Reading, Bullying, Children's Picturebook, Good Listening, Kid Fans, Manners, Picture Book, sherrill s. Cannon, Uncategorized on March 22, 2016 by Sherrill S. Cannon. A picture’s worth a thousand words…but here are 186 amazing words from Rita Vetsch to share! 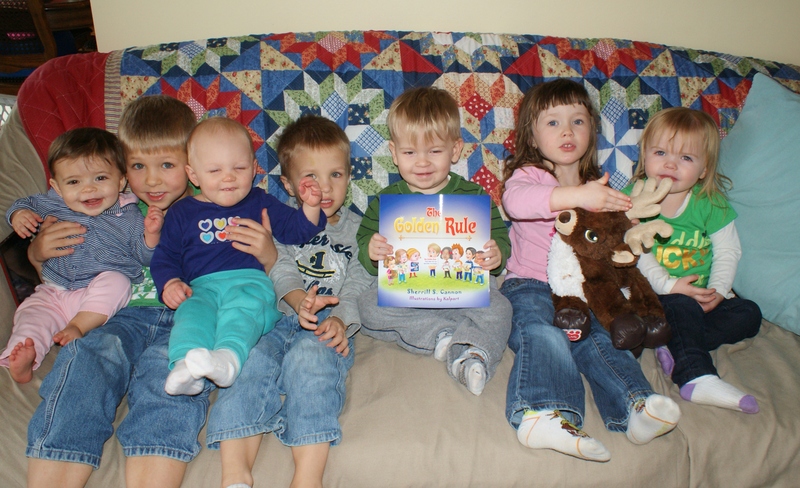 Here is the photo of the kids holding your book! They absolutely LOVED it!! You see, this week in daycare was a rough week. There was a lot of pushing, fighting and little sharing going on. This book came in just in time. We read it on Thursday, just fresh out of the mailbox. And guess what? It helped SO much. It got the children talking about what it takes to be a good person who shares and is kind to their friends. 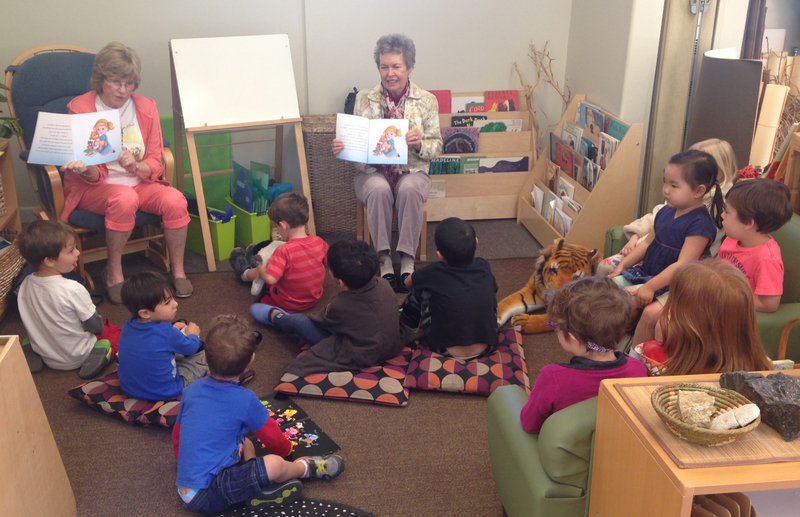 As Friday came, the children ran into my daycare and embraced the book once again. They pleaded for me to read it once again to them and I did. Friday went a lot smoother and there was more sharing and acts of friendliness then there had been all week. Your message got into their little brains and made sense to them! They loved the book and I am thankful that you sent it when you did. It was the little miracle that we needed this week. The kids give it 100 thumbs up and so do I. Thank you Sherrill, you are amazing!! 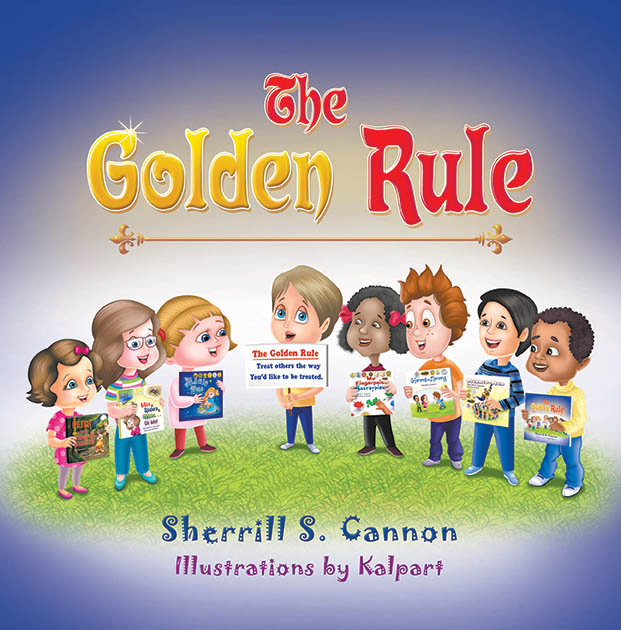 This entry was posted in Behavior, Book Reading, Bullying, Children's Picturebook, Consideration for Others, Golden Rule, Good Listening, Manners, Picture Book, sherrill s. Cannon, Uncategorized on March 21, 2016 by Sherrill S. Cannon. This is the fourth book by Sherrill Cannon that Feathered Quill has reviewed (and the second by this reviewer), and like the others, Manner-Man, My Fingerpaint Masterpiece and Mice & Spiders & Webs…Oh My!, this one is a winner. Ms. Cannon is a master at writing playful rhymes that impart important lessons, and her use of wordplay (see also: Mice & Spiders & Webs…Oh My!) is clever and quite funny. The rhyming flows nicely while conveying an important lesson, and that’s not easy to do! Add in the always entertaining illustrations by Kalpart, and you have another 5-Star children’s book by Ms. Cannon! This entry was posted in Behavior, Bullying, Children's Picturebook, Consideration for Others, eBook, Golden Rule, Manners, Picture Book, Review, Reviews, sherrill s. Cannon, Uncategorized on March 19, 2016 by Sherrill S. Cannon. I love reading to children, but usually start at the Kindergarten level. 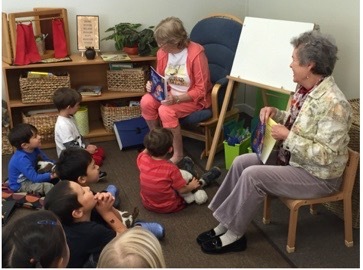 I had the pleasure of reading both The Magic Word and Manner-Man to the adorable youngsters at the Pacific Sage PreSchool (ages 3-4) and found it a delightful experience. I truly think the rhyming – the music of the words – is the key. This entry was posted in Award-Winning, Behavior, Book Reading, Bullying, Children's Picturebook, Consideration for Others, Good Listening, Kid Fans, magic word, Manners, Picture Book, sherrill s. Cannon, Uncategorized on March 18, 2016 by Sherrill S. Cannon.